Join the 360i Media Academy! The 360i Media Academy is a cutting-edge, intensive 10-week program (June 3 – august 9) where you will gain the digital media skills to launch your career in marketing. We’re hiring a class of seven self-starter Junior Associates in Chicago’s Paid Search Media department who will help manage top clients’ media to deliver best-in-class results for clients’ marketing budgets. We are looking for individuals with analytical minds, a natural curiosity for learning, and a penchant for problem solving. You’ll be trained by the best and brightest leaders from award-winning agency 360i, with additional hands-on instruction from Google, Microsoft, Yahoo & more. At the end of the program (August 2019), there may be an opportunity for a select number of successful academy graduates to be offered full-time employment at 360i as an Associate Media Manager either in Chicago, Atlanta or NYC. Be challenged in an immersive curriculum including classroom learning, team projects and hands-on client work. Get one-on-one career coaching from managers and career experts. Receive intensive experience in Search Engine Marketing (SEM), as well as a keen understanding of other marketing channels including SEO, Display and Programmatic. Learn advanced Excel & other technical skills. Complete Google AdWords and Microsoft Bing certification. Ideal candidates are recent graduates or professionals excited about growing their digital media skills in a supportive, hands-on environment. Our previous Junior Associate classes was a mix of recent graduates from top universities across the country, existing professionals seeking an inroad into digital marketing, former military members re-entering the workforce, and more. 360i is a full-service digital and creative agency. We have been named AdWeek's Breakthrough Media Agency of 2018, Search Agency leader by Forrester five times, and on AdAge’s A-List for 8 years running. Our clients include Absolut, HBO, DSW, JCPenney, Hanes, SoFi, FTD, Canon and many other brands you know & love. But enough of the accolades; let’s talk about the culture. 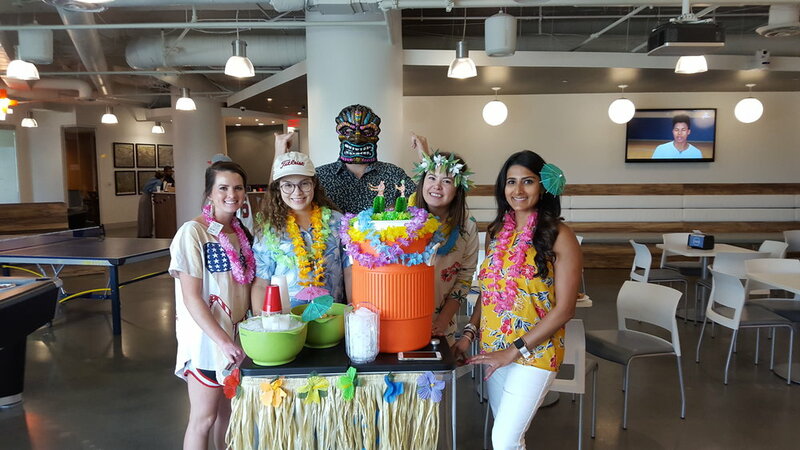 Located in the heart of River North, the Chicago office boasts a fun & vibrant culture, with events like happy hours, Office Olympics, office trivia & beer-cart Fridays. Refreshments (yes, even the alcoholic kind!) on tap, ping pong, and a “work hard, play hard” attitude make work genuinely enjoyable, and you’ll find rewarding career growth while working alongside groups of fun, young, motivated professionals. Any applicable work samples applicant has worked on during previous internships, class projects, etc. If selected, you will be invited to take part in interviews. All interviews will take place on a rolling basis through April. By April 30th, all Junior Associates will be selected.